Praeclara’s October 2015 production of Dracula Unearthed relies heavily on the talents of the Arkansas Festival Ballet dancers in the cast to communicate the story to the audience. The dancers get their direction from AFB artistic director Rebecca M. Stalcup, who developed entirely original choreography for this production, just as she has for three other Praeclara productions to date (Carmina Burana, Peter Grimes, and Dido and Aeneas). 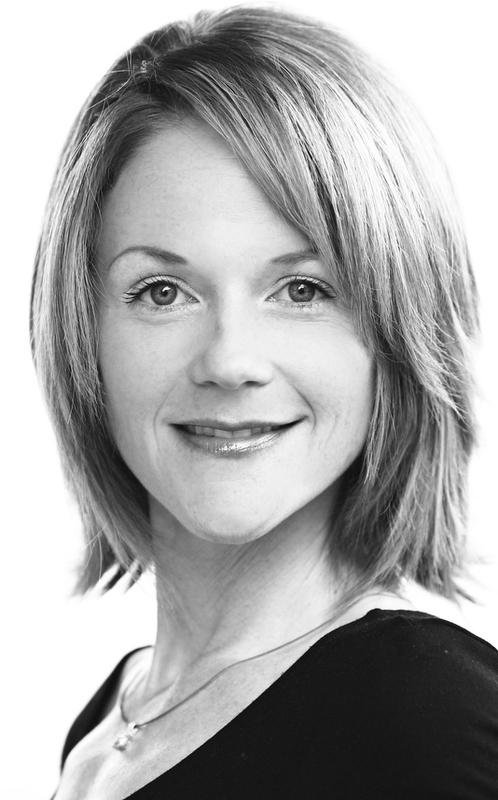 In this interview with Praeclara communications director Karen Kuralt, Stalcup gives us a glimpse behind the scenes as she talks about her creative process, along with some of the challenges and rewards of bringing Dracula Unearthed to the stage. So back in January, conversations started, and it was coming to fruition, the whole idea of doing this Dracula. Praeclara’s artistic director, Bevan Keating, developed the story to include ideas of a modern-day Dracula while highlighting aspects of the classic novel. I first had to transition away from the idea of a full-length classical ballet and let my thoughts and creativity evolve around this newly arranged and bold story. In my mind, everything is ballet focused, because that is what I do. Having worked now with Bevan on a couple of projects, I know that what we produce will involve more than just the ballet. We are incorporating all these aspects of artistry, which then makes the story more accessible to the audience and more fun for the singers and dancers. Producer Bruce Rentz was then able to take a scattering of ideas and use them to develop staging and set concepts. The sets are always a subject of good-natured haggling over the allowance of inches and feet for talents using the space. Our collaborative projects are so much fun! We are making a complex story come to life with professional and pre-professional talents filling the stage. Nothing is monotonous when working at this level. Describe your creative process in choreographing Dracula Unearthed. When thinking choreography, I need the music. Even if I don’t know the storyline, if I can just get selections of music, I will listen to them wherever I am throughout my day — in the car, in the studio, wherever. It gets me excited! I think this is a crucial part of my creativity. In listening, I may envision a lift or series of turns. The music inspires my thoughts and motivates some general concepts. When I get the storyline, and I am able to match it up to the music, I make notes on every different version of the story I get [Stalcup shows four different versions of the Dracula script as it has evolved]. Then I have to combine my notes from each version to set the choreography for the dancers. I just need to go through the music, work through the counts, and isolate what the characters are trying to portray to the audience in that moment. Then I can shape the talents into movement or staging to match those needs. Once I set the choreography on the dancers, we start pulling in the singers to share the stage. At this point, I really enjoy watching the dancers become enlightened while working with the live music. Having the singers and dancers respond immediately to each other in rehearsals promotes the way they will all communicate with the audience. All of our talents, with so much artistry, appreciation, and graciousness, become part of one artistic vision — making our production a success before we have even taken the stage. Have any works or performances influenced what you’re doing with Dracula Unearthed? I know that Bruce and Bevan and even some of the singers spent some time over the summer going to the library, finding as many videos, DVDs, movies on Dracula as they could, and they were watching those as a group. 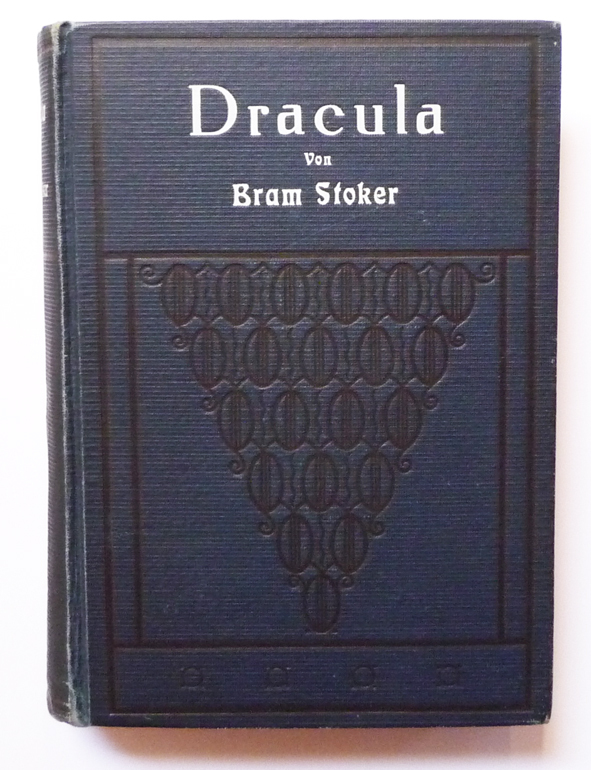 I read Bram Stoker’s novel twice without the influence of any movies. Of course, Bevan’s story does not follow the novel. The novel becomes a reference as it establishes the next generation of Dracula. I love to read, and I love the setting for the story. It was easy for me to immerse myself in the story with the mystery of the characters. My reading helped me become attuned to Dracula’s needs and desires, as well as the needs and desires of the lead female characters while discovering the interests of the heroes. Then of course, absorbing the music into these ideas helps me get to the point where I know — I’ve got this! This production offers such an interesting collage of musical pieces. IT IS GOOD! Bevan is very skilled at selecting a vast range of music and fusing it all into a whole that makes sense for a story. You know, this is what I often do for our storybook ballets. I pull music from different directions! I get so excited about an abundance of music I find and think, “Ooh, this musical selection would be good for this character, and this excerpt would be perfect for that character!” Then I become a little overwhelmed by my choices and wonder with excitement, a bit of panic, and then doubt, “Oh ”¦ what have I done?” I am thinking, will this work? This will never work! ”¦ and then remembering how the story matches the music and the music builds up the personalities of characters in their movement ”¦ it does work! In Dracula Unearthed, for example, we have the Shostakovich [String Quartet #8 in C minor, Op. 110]. Melinda [Tobian] was listening to the classical station one day, and the Shostakovich music was playing. Melinda says, “You have to listen to this! It’s phenomenal — it sounds like spiders and spooky things.” I knew immediately I wanted to choreograph something to this music. It is so different from much of the Shostakovich music that I know. I love and am familiar with his fun and happy, sometimes quirky pieces. In listening to the String Quartet, it struck a chord with me. The music is so perfect for the scene between Dracula and Lucia. The musical moment sounds wild and promotes the feeling of craziness. The notes are all over the place. In addition, we’ve incorporated several dark and heavy requiems into the show. For this original production, the selections of music combine perfectly to represent Dracula’s state of mind and the effect he has on others. What part of the choreography are you most proud of, and why? I love the victim scene! That was one that I started setting this summer, and I set it in two different phases. I started with my corps de ballet, and I call the corps de ballet “vampresses” (which I know is a made-up word). They appear out of the woodwork and fold into the scene — they are Dracula’s castle companions. The corps of “vampresses” are spirit-like, ghostly figures who swathe the stage in unearthly movements — up and down the castle, around Dracula, around the victim and singers. From this point, I was able to build intense movement for the lead dancers, Matthew [Morley] as Dracula and Sara [Williams] as his victim, to include the hunger, passion and tragedy that is significant to the scene. It came together so well, and we had so much fun developing the energy for the relationship of these two characters. You will not see a classically styled pas de deux in this scene; it starts out gentle and becomes harsh and ravenous. Matthew and Sara were wonderful to work with as we explored and stretched general expectations of partnered dancing. Now every time I see the scene, I am so excited. The audience will feel such sorrow for the victim, but at the same time, feel strength and exuberance while watching Dracula overpower and dominate everybody on the stage. The way he approaches the victim, is almost caring, but yet not! She is his prey”¦ it is devastating. Yet, I am really looking forward to the audience’s response to this moment in the production. Artistically, what’s been the most challenging aspect of the choreography for this show? Developing the role of Wilhelmina [Dracula’s daughter]. The story begins with her as this young child and then she transforms into a young adult. As that progression happens, I want it to be so obvious to the audience that this young child and the young woman are the same character. At the same time, this young child has to present two possible outcomes. When we first see her, she is on the stage with Dracula and the relationship is deliberately vague. He is this dark figure coming out from the shadows. From the audience perspective, we assume his objective as he approaches. The audience remains guessing until the music changes and then the mystery may find resolution. The audience will feed on this ambiguity again later in the story — leaving so many aspects of the story in question. While the action on stage needs to be clear, the significance of the action may remain layered and quite complicated. Wihelmina struggles with the depth of relationships built into this story and several of these are replicated. We see this struggle in the final three-way battle between Anghel, Dracula, and Wilhelmina, which is another phenomenal moment. The character interactions are so complex. I love setting choreography to demonstrate a dispute, especially when so many angles must be communicated to the audience. We see a pas de trios — two minutes of choreographed partnering — she goes to Anghel, he partners with her; she goes to Dracula, he partners with her; Dracula goes to Anghel and tosses him. The dancers and I had great fun experimenting with how the story in this scene should unfold through the movement. These three characters are so powerful in what they believe — it makes one uncertain who should win in the end! How do you determine which dancers to connect with which roles? For this production, I had more trouble than usual. After reading some of the character descriptions, for some, I knew immediately who should dance the role. For the female leads — Wilhelmina, Lucia and Nadia — I literally went into my first rehearsal with Julia [Aronson] not knowing which role she should dance; I just could not settle on the best fit. Once I listened to the music for the fight scene [the Dies Irae from Mozart’s requiem] between Anghel, Wilhelmina, and Dracula, I knew “this is so Julia.” When I heard the Shostakovich music, I thought “Okay, this is Lucia’s part; this is so Allison Stearns.” I know how these dancers move and the way they present choreography. A choreographer must know the dynamics of every dancer in order to cast and set movement for them. The choreography for the role of Lucia was set on AFB company dancer Elizabeth Dawson. She has taken ownership of this part as an understudy. 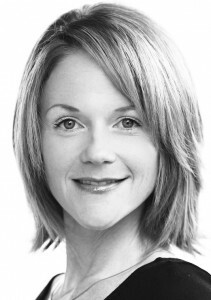 Guest dancer Allison Stearns will join the cast four days before opening night. Although the choreography for Lucia was set with our guest dancer in mind, Elizabeth as the understudy has demonstrated her versatility as dancer. 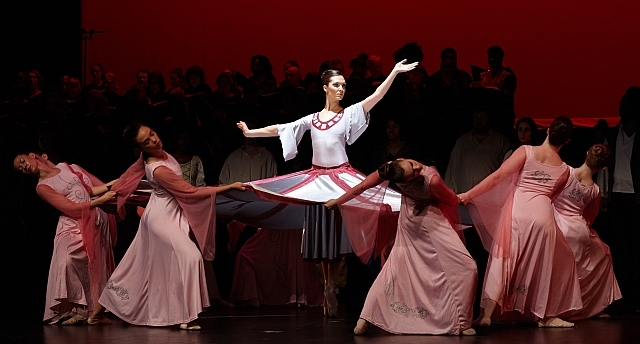 Elizabeth dances four major sections in the production. The role of Nadia (Dracula’s first victim) was interesting. 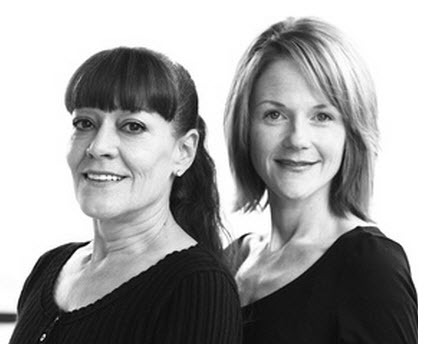 Sara [Williams], former AFB dancer, returned this summer to take classes with Melinda Tobian. She looked fantastic! Her positive energy is contagious and she demonstrated a new elegance and maturity. I was very quick to invite her to perform with us this season. Once she was ready to commit, and I said, “Great! You’re going to be our victim!” Sara can possess her audience with the emotion of any role, whether it is happy, sad or devastated. She is so dear. We have three wonderful lead ballerinas and male danseurs. We have all worked together on previous projects, giving both dancers and choreographer the advantage of how the staging will develop. We come into the studio with an open mind, knowing that this is a new creation. Our confidence in each other allows me to be adventurous in the movement. We are all thinking way outside the box. To have artists that will embrace new challenges gives me a huge scope for my vision. I do not want to set cookie-cutter choreography. Talk about your collaboration with ballet mistress Melinda Tobian. How do the two of you work together? Melinda Tobian is crucial to our training and performance — she is behind everything that we do in the studio and on stage. She and I have the same ideals and respect for classical ballet. She had a wonderful professional career and was fortunate to train with the best instructors and directors. Melinda has a very detailed-oriented view of all she sees in a talent. She notices all that I miss. She is very precise in explaining the proper execution of technique and gently demands ALL when it comes to the final changes or additions. She and I complement each other nicely. As I share my ideas with her, she may expand on them or offer a better idea! She is looking for the connection between the characters and the relationship they are building with the audience. 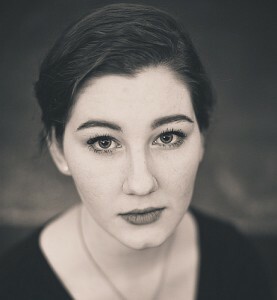 Her great ideas help spark some of my creativity as we begin to incorporate the singers into the staging. It is definitely more fun and productive when we work together. She reinforces what I am trying to accomplish, and we have a great many laughs along the way! How does working on Dracula Unearthed compare to your past collaborations with Praeclara, such as Carmina Burana ? I had no realistic idea of the vastness of Carmina Burana! I discovered bits and pieces of our larger goal as we progressed through rehearsals. Bruce, Bevan, and I connected quickly and sent artistic sparks flying. The strength of that production came from the preparation that Bruce and Bevan put into it — I became engaged once they had their details in place. That project was so BIG! The direction our collaborative projects have taken has been phenomenal. Sometimes in the performing arts, artists become too focused on highlighting just the capacity of their own artistry. Our Praeclara partnership is unique because it shows what a true collaboration between different artists can add to a production. Very few organizations have the leadership and talent to venture into this direction. The singers and dancers desire to work together. They “raise the barre” for expectations in fellow talents. All the while, they are so generous and respectful of one another. While the talents love all of their time on stage, these collaborative works are a wonderful way to reach an audience and educate future talents. In two years, we have produced four big projects. Everything we promoted and tweaked since Carmina Burana has built into Dracula Unearthed. This two-year process has been so enlightening for me personally. I have gained a great appreciation for the music of Carl Orff, Benjamin Britten, and Henry Purcell as I engaged in every note of their scores. In two years, we have established something so wonderfully fulfilling and original. We are able to appeal to our audience’s expectations of intriguing innovation. Dracula Unearthed will be performed Oct. 29, 30, and 31 at 8 p.m. at Wildwood Park for the Arts in Little Rock, Arkansas. Halloween-themed pre-show activities will begin on the Wildwood grounds at 6:30 each evening, and audience members are encouraged to attend in costume. Purchase tickets at the Wildwood Park website, or call the box office at 501-821-7275.